The Franklin Public Schools Lifelong Learning Institute has set its Fall/Winter 2015 course guide for The Center for Adult Education & Community Learning, and many of the instructors are Downtown Partnership members! 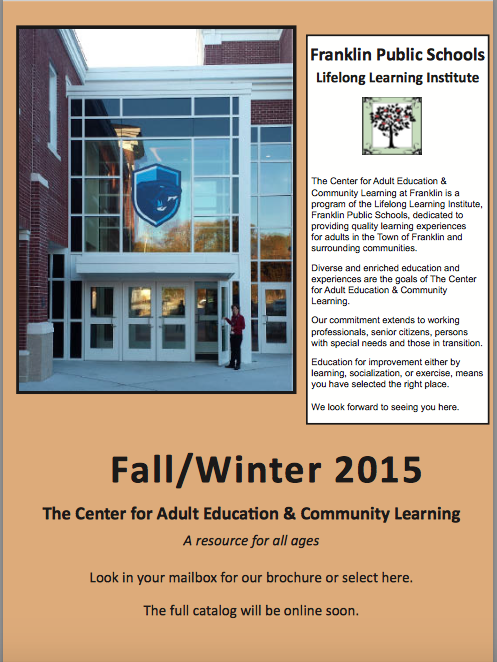 The course brochure was mailed last week and is also available online at www.FranklinLifelongLearning.com under the Adult Education link. Take cupcake decorating classes taught by the Angie McMillan and Tracie Turinese, owners of The Cake Bar. Learn how to dive back into the working world after a hiatus with Linda Waters, owner of Back to Business LLC, and Dionne Katinas of The Marketing Studio. Get fit and healthy with Heather Martin of Tranquil Souls Yoga and Carol Bouchard of The Adirondack Club. Learn about food and wine from Mark Lenzi of Franklin Liquors, Angie and Tracie of The Cake Bar, and Bob Vozzella of La Cantina Winery. Paint custom wineglasses with Linda Kabat of the Franklin Art Center. 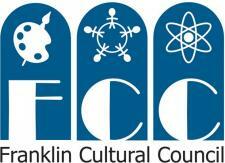 Register online at www.FranklinLifelongLearning.com under the Adult Education link, or call 508-613-1480.